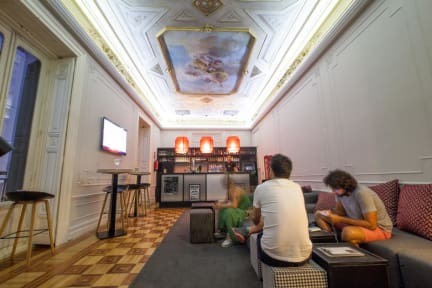 This will definitely be my go-to place to stay when I visit Madrid. It was clean, stylish, and a perfect location. My girlfriend and I both enjoyed our stay here. Amazing location and great staff! Right in the heart of central Madrid. Very well located, near the Puerta Del Sol. The breakfast spread at €6 was excellent. Not exactly a youth hostel though, it's quite a classy place to stay at within a budget. What a very nice hostel. It is more like a nice hotel very close to Puerta del sol. I has a bit of a misunderstanding at the beginning but the staff was very very helpful. I checked out very relaxed and happy. I will stay again and recommend this place to other travellers. Gracias!! The facilities are good and the staff are nice, but it's not a place for you if you are looking to meet new people. I stayed on a very expensive night, frustrating when the price goes up 40 Euro and you're not going to the soccer game. Did not like bathrooms, no privacy. Otherwise awesome location, great feel and very welcoming! The place is really clean, and secure. 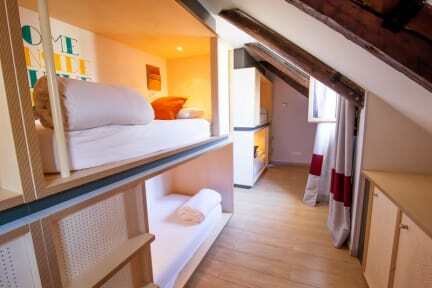 It has a mix of room types I had not seen in hostels before. This place is good for larger groups of people.